If you’re feeling bad and think you’re sick as a dog, you might have put your finger on the cause, researchers say. There are more than 200 diseases that can be transferred from animals to humans, and even man’s best friend can be unfriendly when it comes to staying healthy. Almost every animal is capable of passing some type of disease or sickness to humans. Dr Leon Russell, a veterinarian in Texas A&M University’s College of Veterinary Medicine who teaches a course on the subject, says ailments range from near harmless to downright deadly. The technical term for such a transfer is zoonosis, which means any disease that is communicable from animals to humans. “Most of those 200 or so diseases that can be passed to humans are fairly rare and don’t occur much in the United States,” Russell says. “But there are a few dozen that are very common and can be even be killers.” One of the worst: salmonella. It’s a bacterial disease found in poultry and eggs and uncooked meat. Worldwide, it kills thousands of people every year but can be one of the most preventable, Russell says. Its bacterial cousin — campylobacter — can also be acquired from poultry, but young puppies have been known to pass the disease, Russell confirms. “If you cut up chicken and then use the same knife to cut the bread or salad, you’re asking for trouble,” Russell believes. “And it’s best to clean off a cutting board you’re using, too. Just one drop can make a person very sick.” “Also,” he adds, “you must wash your hands after handling raw meat or poultry to prevent transfer of these bacteria to other food items.” Snakes and other reptiles are capable of passing salmonella, too, he says. “If a youngster has handled a snake or other reptile and then eats without washing his hands, it gives salmonella an open door to invade the body,” he says. 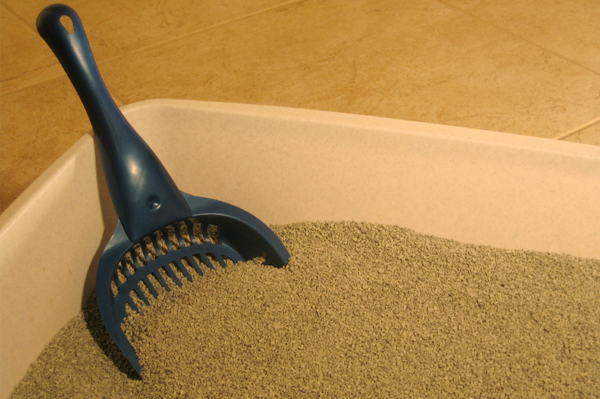 Being pregnant is not the best time to be cleaning out the cat’s litter box, either. Russell says toxoplasmosis is sometimes passed from cats to humans and can harm a woman’s fetus during pregnancy, possibly leading to birth defects. It’s best to let someone else change the kitty litter if you’re pregnant, he advises. “Eating uncooked meat, such as pork, mutton or beef, is another way of transmitting toxoplasmosis,” Russell believes. Cows — and dogs — can pass along leptospirosis to their owners. It affects the liver and kidneys and can become very serious. It can be similar to infectious viral hepatitis in humans, Russell points out. Animals urinating in surface water such as ponds, tanks or even small puddles is a hazard, he says. Brucellosis can also be passed from cattle to humans, and although it is not as common in the United States and it used to be, other countries still are dealing with the problem. It often comes from impure raw milk and can cause a high fever and affect bone development. Children who ingest dirt that is used with dogs who have roundworms can get roundworms and can get ill, and hookworms from an uncovered cat’s sand box cause skin lesions on humans, Russell adds. Cat Scratch Fever is not a myth — it’s real and when kitty’s claws come into contact with skin and blood, it can result in flu-like symptoms and swollen lymph glands, Russell says. If you’re a bird lover, watch out for histoplasmosis. It comes from bird droppings that are often seen on the sidewalk or on cars, and if you inhale it long enough, it causes conditions that resemble tuberculosis, Russell says, and can become very serious. Parakeets can give humans Psittacosis, commonly called Parrot Fever, which can cause flu-like illness and eventually may affect the heart and lungs. Ticks on animals can make them sick and the results can be transferred to humans in the form of Lyme disease or Rocky Mountain Spotted Fever, both of which can be deadly. Russell says Lyme disease starts out as a skin rash, evolves into conditions resembling arthritis and in its final form, can cause serious neurological problems. Deer ticks have been known to pass along Lyme disease and dog ticks spread Rocky Mountain Spotted Fever to humans, Russell notes. Horses can develop Equine Encephalitis and the same mosquitoes can pass it to their owners. Although horses and humans can be victims of mosquito transmitted Encephalitis, horses do not directly transmit the disease to humans, Russell points out. Most moms know a young kitten or dog can have ringworms, a skin ailment that while not usually serious, can be extremely unpleasant. Ferrets can be cute and playful, but some have a nasty habit of biting small children which can cause various types of infection, Russell says. And what about the reverse? Can animals get diseases from humans? “Tuberculosis can be passed both ways — from animals to humans and vice versa,” Russell explains. “If people use common sense, they should not have much to worry about when it comes to animal diseases. Washing your hands after handling animals and pets, not kissing dogs or cats near their mouths, treating bites effectively, keeping clean litter boxes and bird cages — all of these things can go a very long way in easing any worries an animal or pet owner might have,” he adds.